…and widescreen support for all devices. Can be viewed in Google Slides also. Suitable for organizations, managers and businessmen. Premium Customer support service.This a one stage process. The stages in this process are management summary, business plan, decision making, business documents. Presenting business case summary 4x2 boxes. 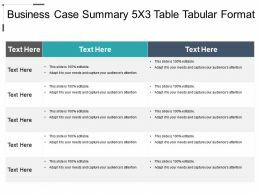 This is a business case summary 4x2 boxes. This is a four stage process. The stages in this process are business case summary, business case overview, business case introduction. 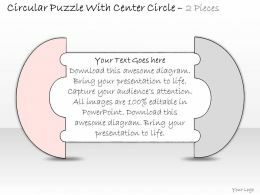 Presenting business summary powerpoint slides templates. 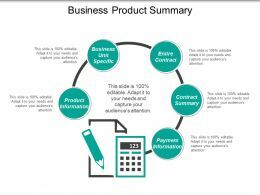 This is a business summary powerpoint slides templates. This is a nine stage process. The stages in this process are growth, science, money, diversity, economy, evaluation. 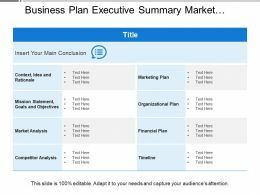 Presenting this set of slides with name - Business Plan Executive Summary Market Competitor Analysis. This is a four stage process. 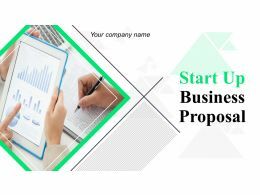 The stages in this process are Business Plan Executive Summary, Business Strategies Executive Summary, Business Plan Executive Overview. Presenting launching a new business ppt summary. This is a launching a new business ppt summary. This is a six stage process. The stages in this process are idea, plan, prepare, finance, strategy, marketing. 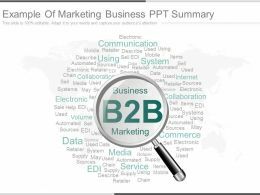 Presenting this set of slides with name - Business Product Summary. This is a five stage process. 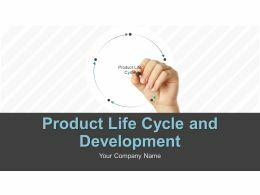 The stages in this process are Product Summary, Product Overview, Product Introduction. 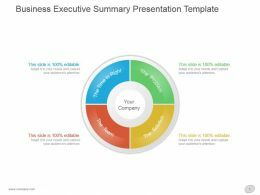 Presenting business executive summary presentation template. 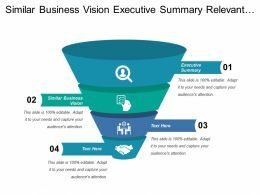 This is a business executive summary presentation template. This is a four stage process. The stages in this process are the time is right, the team, the solution, the problem, your company. 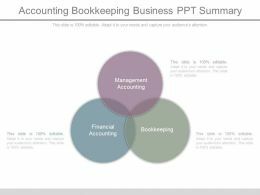 Presenting accounting bookkeeping business ppt summary. This is a accounting bookkeeping business ppt summary. This is a three stage process. The stages in this process are management accounting, financial accounting, bookkeeping. 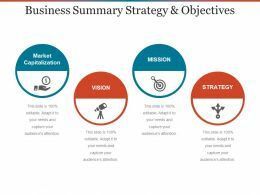 Presenting business summary strategy and objectives ppt slide show. 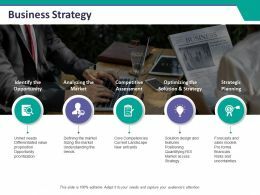 This is a business summary strategy and objectives ppt slide show. This is a four stage process. The stages in this process are market capitalization, vision, mission, strategy. Presenting business case summary icon process 3. 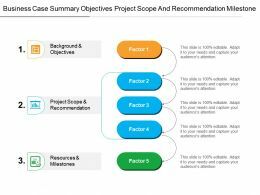 This is a business case summary icon process 3. This is a three stage process. The stages in this process are business case summary, business case overview, business case introduction. Presenting business case summary icon process 4. 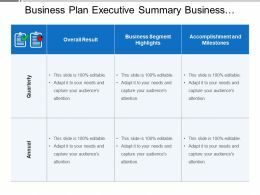 This is a business case summary icon process 4. This is a four stage process. The stages in this process are business case summary, business case overview, business case introduction. Presenting business case summary icon process 5. 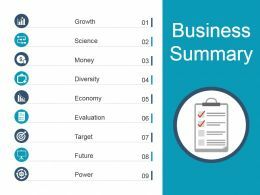 This is a business case summary icon process 5. This is a five stage process. The stages in this process are business case summary, business case overview, business case introduction. Presenting business case summary icon process 6. 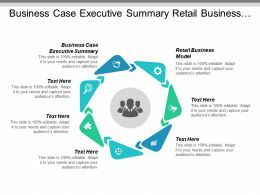 This is a business case summary icon process 6. This is a six stage process. The stages in this process are business case summary, business case overview, business case introduction. Presenting business case summary icon process 7. 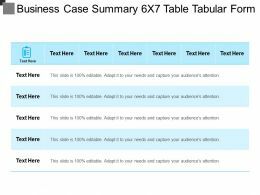 This is a business case summary icon process 7. This is a seven stage process. The stages in this process are business case summary, business case overview, business case introduction. 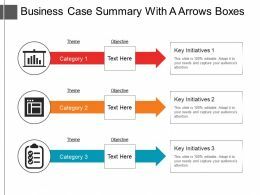 Presenting business case summary with a arrows boxes. 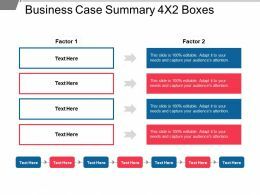 This is a business case summary with a arrows boxes. This is a three stage process. The stages in this process are business case summary, business case overview, business case introduction. Presenting challenges of growing business ppt summary. 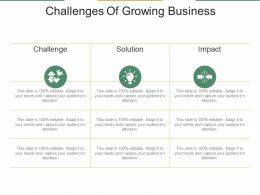 This is a challenges of growing business ppt summary. This is a three stage process. The stages in this process are solution, challenge, impact. 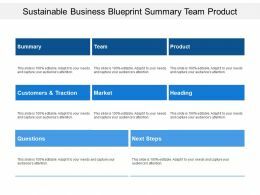 Presenting this set of slides with name - Sustainable Business Blueprint Summary Team Product. This is a three stage process. 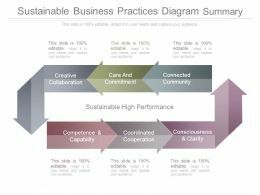 The stages in this process are Sustainable Business Blueprint, Sustainable Business Development, Business Architecture. 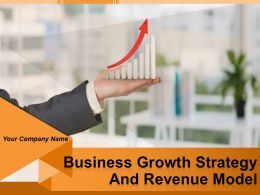 Presenting this set of slides with name - Business Strategy Ppt Summary Layout. This is a five stage process. 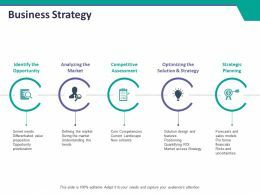 The stages in this process are Identify The Opportunity, Analyzing The Market, Competitive Assessment, Optimizing The Solution And Strategy, Strategic Planning. 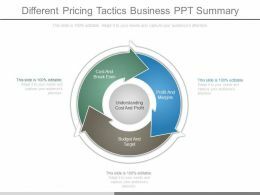 Presenting this set of slides with name - Business Model Ppt Summary Good. This is a four stage process. 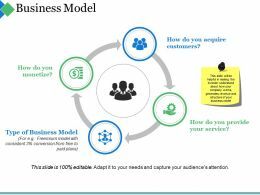 The stages in this process are How Do You Monetize, Type Of Business Model, How Do You Acquire Customers, How Do You Provide Your Service, Business. 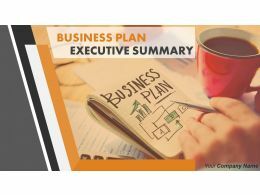 Presenting this set of slides with name - Business Plan Executive Summary Business Results Highlights Milestones. This is a three stage process. 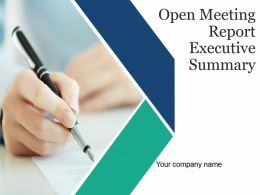 The stages in this process are Business Plan Executive Summary, Business Strategies Executive Summary, Business Plan Executive Overview. 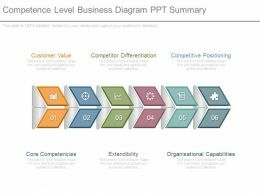 We are proud to present our 0314 business ppt diagram summary of business process powerpoint template. 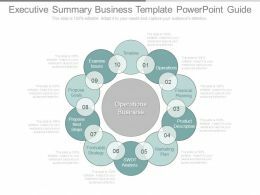 To display business strategy for success and growth use this professional business power point template. 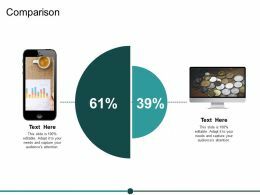 Make your views more clearly to the viewers of your business presentation. Presenting business process flow ppt summary. 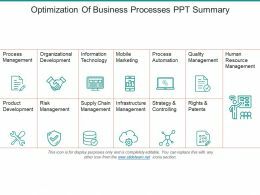 This is a business process flow ppt summary. This is a five stage process. 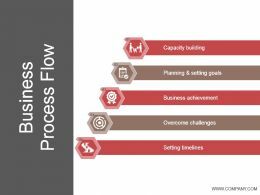 The stages in this process are capacity building, planning and setting goals, business achievement, overcome challenges, setting timelines. 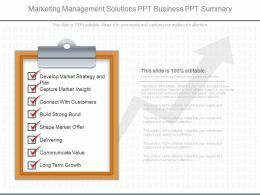 Presenting business administration icon ppt summary. This is a business administration icon ppt summary. This is a one stage process. The stages in this process are administration, management, leadership. 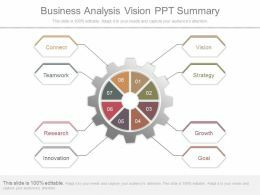 Presenting business analysis vision ppt summary. This is a business analysis vision ppt summary. This is a eight stage process. The stages in this process are connect, teamwork, research, innovation, vision, strategy, growth, goal. 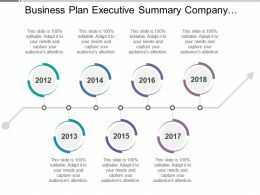 Presenting this set of slides with name - Business Plan Executive Summary Company Timeline. This is a seven stage process. 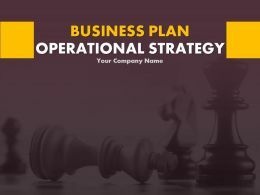 The stages in this process are Business Plan Executive Summary, Business Strategies Executive Summary, Business Plan Executive Overview. 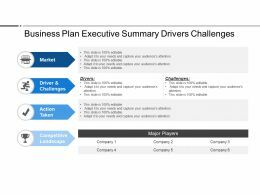 Presenting this set of slides with name - Business Plan Executive Summary Drivers Challenges. This is a four stage process. 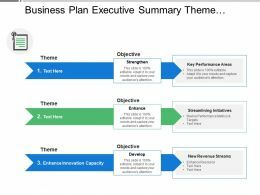 The stages in this process are Business Plan Executive Summary, Business Strategies Executive Summary, Business Plan Executive Overview. 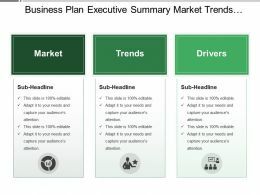 Presenting this set of slides with name - Business Plan Executive Summary Market Trends Drivers. This is a three stage process. 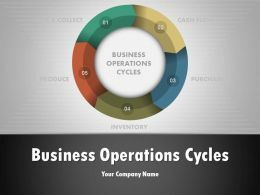 The stages in this process are Business Plan Executive Summary, Business Strategies Executive Summary, Business Plan Executive Overview. 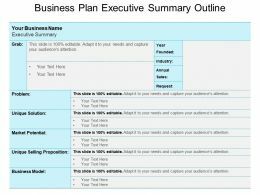 Presenting business plan executive summary outline powerpoint templates. 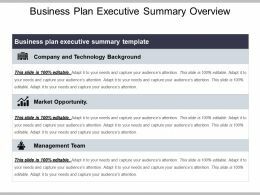 This is a business plan executive summary outline powerpoint templates. This is a six stage process. 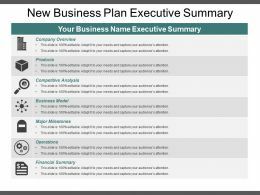 The stages in this process are business plan executive summary, execution summary, business strategy. 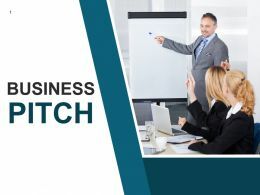 Presenting this set of slides with name - Business Highlights Ppt Summary Graphics Template. This is a four stage process. The stages in this process are Highlight, Business, Management, Marketing. 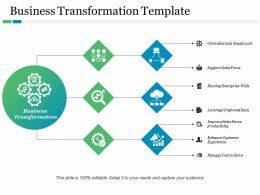 Presenting this set of slides with name - Digital Business Transformation Ppt Summary Structure. This is a three stage process. 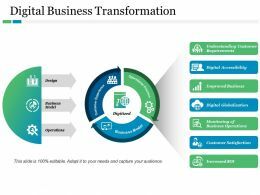 The stages in this process are Understanding Customer Requirements, Digital Accessibility, Improved Business, Digital Globalization, Customer Satisfaction, Increased Roi. 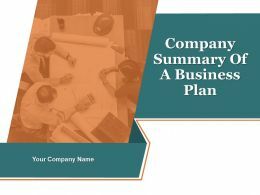 Presenting this set of slides with name - Financial Business Planning Ppt Summary Infographic Template. This is a three stage process. 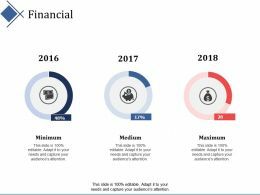 The stages in this process are Financial, Maximum, Medium, Minimum, Marketing. 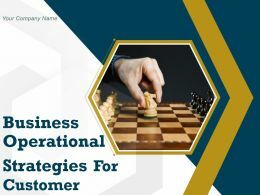 Presenting this set of slides with name - Business Strategy Ppt Summary Example Topics. This is a five stage process. 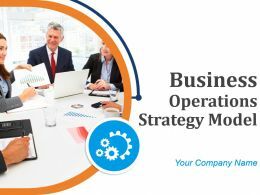 The stages in this process are Identify The Opportunity, Analyzing The Market, Competitive Assessment, Optimizing The Solution And Strategy, Strategic Planning. Presenting business case summary team leader innovation performance analysis. 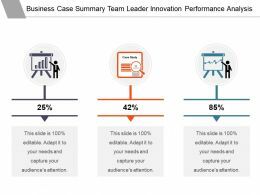 This is a business case summary team leader innovation performance analysis. This is a three stage process. The stages in this process are business case summary, business case overview, business case introduction. Presenting business case summary 5x4 boxes market client staff. 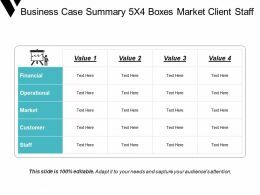 This is a business case summary 5x4 boxes market client staff. This is a four stage process. 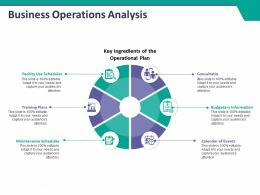 The stages in this process are business case summary, business case overview, business case introduction. 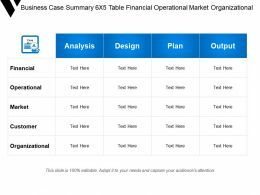 Presenting business case summary financial operational market customer staff. 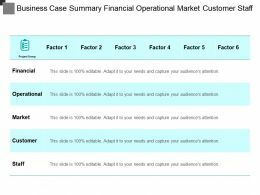 This is a business case summary financial operational market customer staff. This is a six stage process. The stages in this process are business case summary, business case overview, business case introduction. Presenting business case summary key appoint financial customer market. 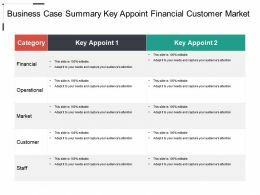 This is a business case summary key appoint financial customer market. This is a two stage process. The stages in this process are business case summary, business case overview, business case introduction. 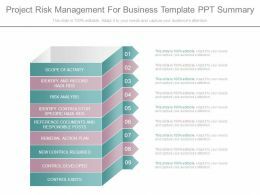 Presenting business case summary 5x7 table risks cost project objectives. 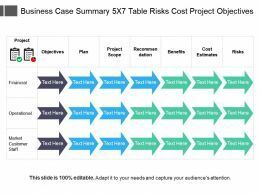 This is a business case summary 5x7 table risks cost project objectives. This is a three stage process. 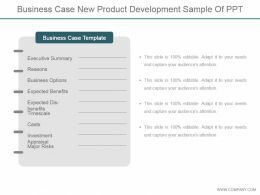 The stages in this process are business case summary, business case overview, business case introduction. 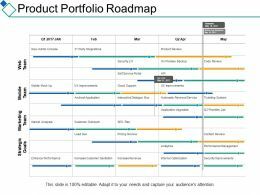 Presenting this set of slides with name - Product Portfolio Roadmap Business Ppt Summary Background Designs. This is a four stage process. The stages in this process are Strategic Goals, Marketing Team, Planning, Management, Process. 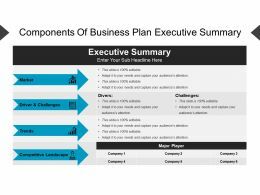 Presenting 90 days business plan diagram ppt summary. 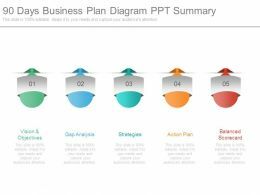 This is a 90 days business plan diagram ppt summary. This is a five stage process. 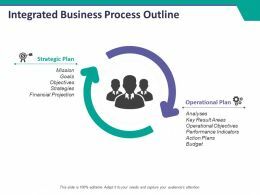 The stages in this process are vision and objectives, gap analysis, strategies, action plan, balanced scorecard. 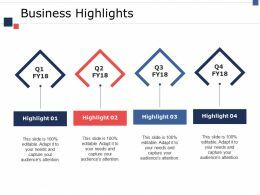 Presenting this set of slides with name - Executive Summary Icon Business Report With Chart. This is a three stage process. 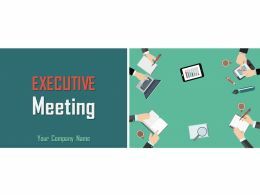 The stages in this process are Executive Summary Icon, Executive Profile Icon, Executive Introduction Icon. Presenting example of business problem solving ppt summary. 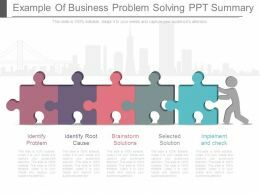 This is a example of business problem solving ppt summary. This is a five stage process. The stages in this process are identify problem, identify root cause, brainstorm solutions, selected solution, implement and check. 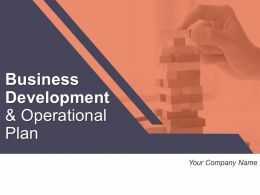 Presenting this set of slides with name - Business Development Covering Executive Summary And Operations. This is a ten stage process. 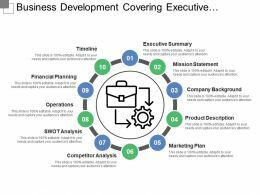 The stages in this process are Business Development Activities, Business Development Plan, Business Development Strategies. 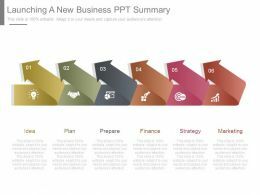 Presenting this set of slides with name - Business Transformation Areas Ppt Summary Design Inspiration. This is a five stage process. 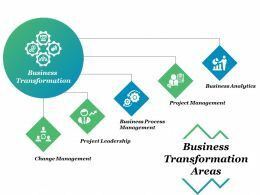 The stages in this process are Business Analytics, Project Management, Business Process Management, Project Leadership, Change Management. 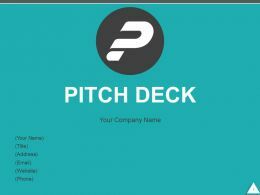 Presenting this set of slides with name - Comparison Business Ppt Powerpoint Presentation Summary Skills. This is a two stages process. The stages in this process are Comparison, Business, Management, Planning, Strategy. 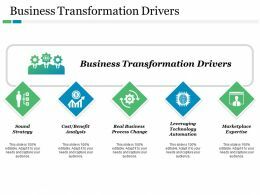 Presenting this set of slides with name - Business Transformation Drivers Ppt Summary Slide Download. This is a five stage process. 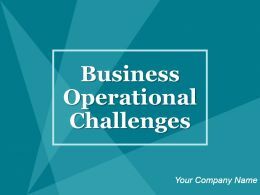 The stages in this process are Sound Strategy, Cost Benefit Analysis, Real Business, Process Change, Leveraging, Technology Automation, Marketplace Expertise. 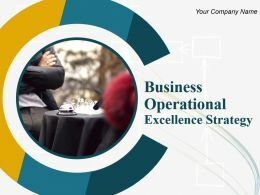 Presenting this set of slides with name - Business Transformation Template Ppt Summary Slideshow. This is a three stage process. 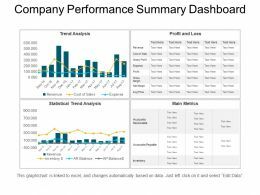 The stages in this process are Centralize Task Based Work, Support Sales Force, Develop Enterprise-Wide, Leverage Improved Data, Improve Sales Force Productivity. 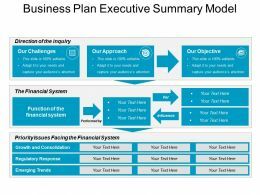 Presenting business plan executive summary model good ppt example. 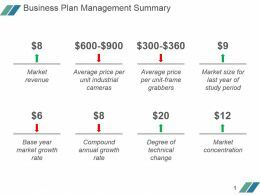 This is a business plan executive summary model good ppt example. This is a three stage process. 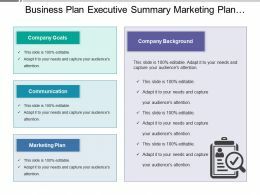 The stages in this process are business plan executive summary, execution summary, business strategy. Presenting business plan executive summary for project example of ppt. 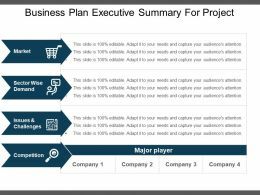 This is a business plan executive summary for project example of ppt. This is a four stage process. 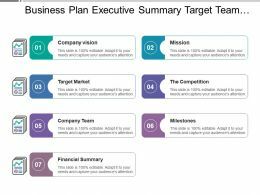 The stages in this process are business plan executive summary, execution summary, business strategy. 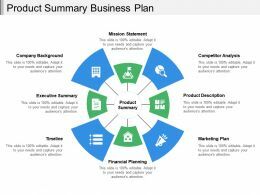 Presenting business plan executive summary for startup sample of ppt. 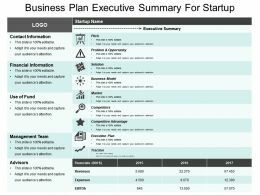 This is a business plan executive summary for startup sample of ppt. This is a five stage process. 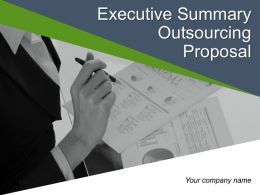 The stages in this process are business plan executive summary, execution summary, business strategy. 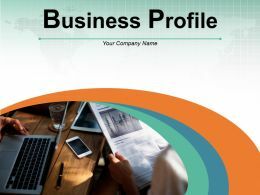 Presenting social media profiles for business marketing ppt summary. 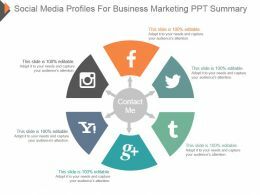 This is a social media profiles for business marketing ppt summary. This is a six stage process. The stages in this process are contact me. 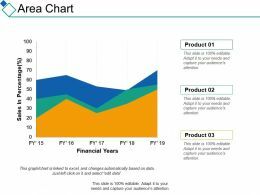 Presenting this set of slides with name - Area Chart Business Finance Ppt Summary Designs Download. This is a three stage process. The stages in this process are Area Chart, Finance, Marketing, Analysis, Investment. 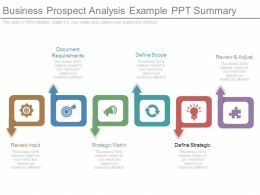 Presenting business prospect analysis example ppt summary. 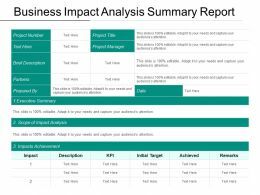 This is a business prospect analysis example ppt summary. This is a six stage process. The stages in this process are document requirements, define scope, review and adjust, define strategic, strategic matrix, review input.